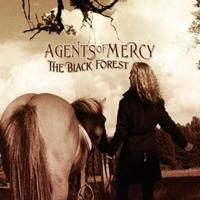 The latest album from Agents of Mercy, this is arguably one of the best discs of 2011. It’s one of those prog rock discs that makes track by track reviews tough because the changes come fast and frequently. It’s often in line with the music of Marillion and Genesis and the vocals are certainly along the lines of Gabriel and Fish. Still, there are other sounds to be heard as this is far from a one-trick-pony show. It’s a smoking hot progressive rock release that should please old school prog purists and modern prog fans alike. A burst of symphonic sound opens this. Then we get a bit of crazed piano. A short Emerson, Lake and Palmer like movement follows. Then they power out into some killer jamming that’s a bit harder edged from there. This thing just keeps changing until it drops way down for the first vocals. That verse section is dramatic and powerful and there’s some killer keyboard work as it continues. The never ending sea of changes continues as the vocals wind through. Then it drops way down to a dramatic mellower movement that eventually serves as the background for the next vocal section. It resembles Gabriel era Genesis in this section. Then, when it powers out that concept certainly continues. The motif is alternated between the mellower and harder rocking motifs as the musical journey continues. There’s a cool keyboard dominated section later in the piece that is especially effective, but no section stays around long. This thing just keeps changing and transforming. It’s an extremely powerful number that’s a great way to start the whole thing off in style. There’s a killer instrumental section late in the piece that just oozes an old school Genesis vibe. It works out from there in a really expansive jam that’s smoking hot. There’s a great retro sounding keyboard bit to close things. This powers out with a decidedly Genesis-like movement. From there, though, we get a new section that’s got a lot of funk built into it. Still, they don’t stay any where too long and we get an expansive and dramatic prog jam from there. They eventually work out to another rather funky movement. It calls to mind Marillion quite a bit. The sea of never ending change continues to dominate as they take it through one dramatic progressive rock movement after another. This is a killer cut, but the whole disc is amazing, so that’s to be expected. A cool vocal dominated section leads the number off and it works out from there to one of the hardest rocking sections we’ve heard. In fact, this one leans towards technical metal as the guitar solos like crazy over the top. 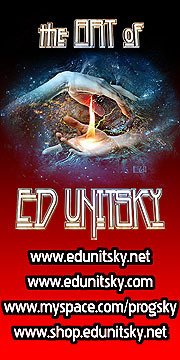 It works out to more melodic progressive rock as they continue. It calls to mind Marillion quite a bit. Of course, a big part of that is the vocals. In some ways, musically it comes closer to Yes or other progressive rock bands. While this still has a lot of frequent changes, it’s a little more constant than some of the other music here. There’s a killer fusion-inspired instrumental movement later in the piece. This comes in balladic and grows from there. It’s essentially just keyboards and vocals on the early sections. It’s not until around the minute and a half mark that other instruments really come into play. Even then, the presence doesn’t really change. They just augment the moody balladic approach. It becomes extremely powerful as it continues, but this is definitely the most constant piece to this point of the disc. It’s emotionally powerful and just plain cool. This comes up melodic, but bursts out to hard rocking prog fury. From there it settles into an energetic prog jam. There’s a killer hard rock riff later in the piece, but this brings back the never ending parade of changing cuts. It’s a lot like Fish and Marillion combined, but there’s a lot of other sounds to be heard, too. Most of the track qualifies as smoking hot rocker. Piano starts this off and the cut moves out from there with keyboards leading the way during the early sections. It resolves out to a jam that’s got a bit of a groove to it. While it doesn’t vary a lot from other sounds on the disc, there are some different textures. It’s another with a lot of changes and reworkings through out. Some of the guitar work calls to mind Steve Howe a bit. A cool melodic resolution feels a lot like The Flower Kings. Coming in mysterious, there’s a spoken bit at the start. It pounds out with some killer progressive rock stylings. In some ways this one calls to mind Emerson, Lake and Palmer, but I can also make out some Dream Theater and other more modern textures. There’s a killer keyboard solo section later in the piece. We also get some trademark Roine Stolt guitar soloing further down this musical road. The closing number comes in mellow and dramatic. It builds gradually and turns out to sort of a prog rock take on a slow blues rock jam (a bit like something from Joe Satriani). It’s a classy instrumental that eventually works back out to mellow territory to take things out. That closing segment is very much extended though, with the ending coming into play quite slowly.